There are so many fun things that you can learn after you have learned basic crochet stitches. One of the ones that really adds texture and detail to your work is to learn how to crochet post stitches. 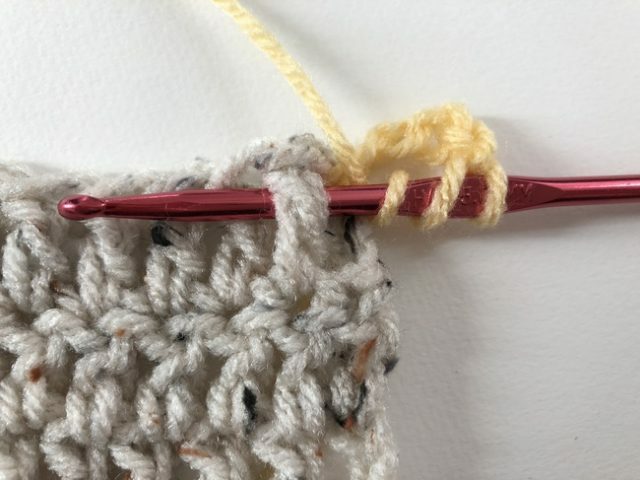 In working regular stitches, you crochet into the loops of the stitch; with post stitches, you instead crochet around the stitch. This technique is used to create crochet cables, basketweave crochet and other nearly three-dimensional effects in flat crochet. 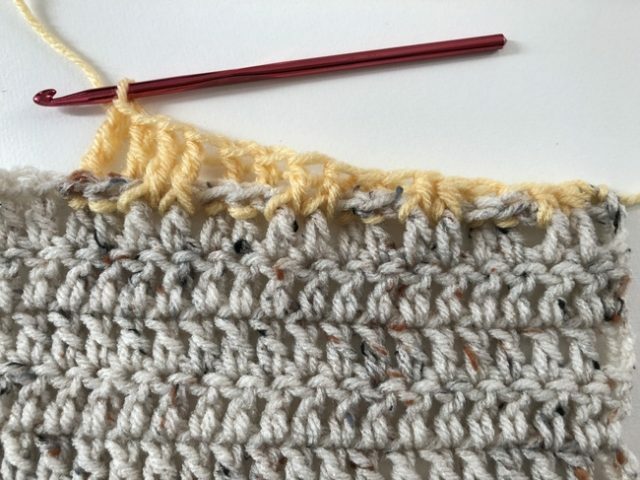 When you work with post stitches, the name of the stitch is defined by what type of stitch it is and whether it is worked around the front or back of the post. 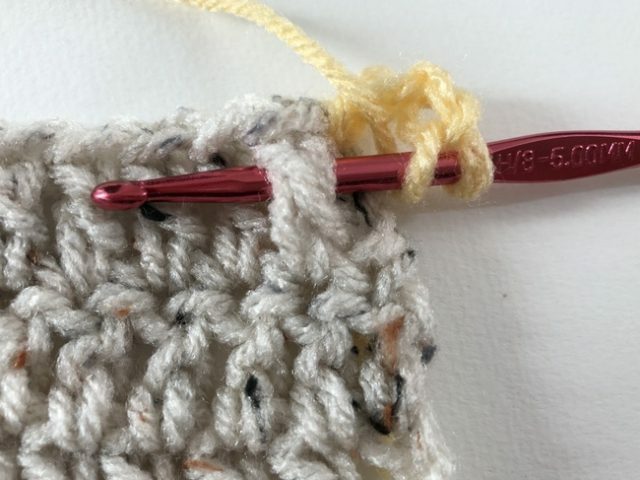 For example, we will look first at front post double crochet (abbreviated fpdc), which means a double crochet stitch that is worked around the front of a post. 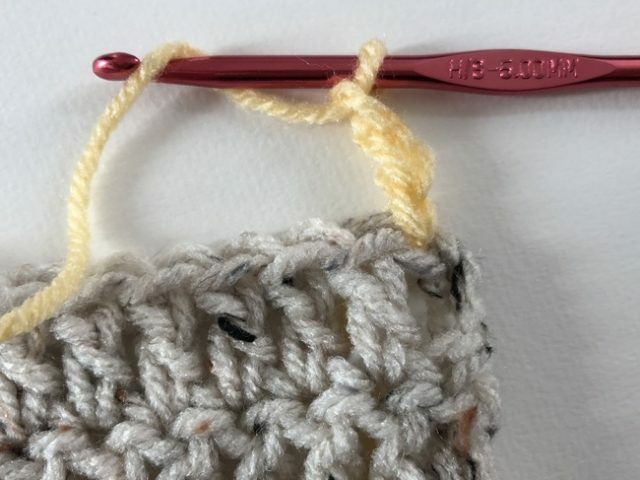 In the above photo, we have a regular double crochet stitch, and we are now going to begin our front post double crochet. Just like with regular double crochet, you will yarn over. If this were a regular double crochet stitch, you would now insert the hook through the loops of the next stitch. However, we are going to work around the post, specifically around the front of the post. 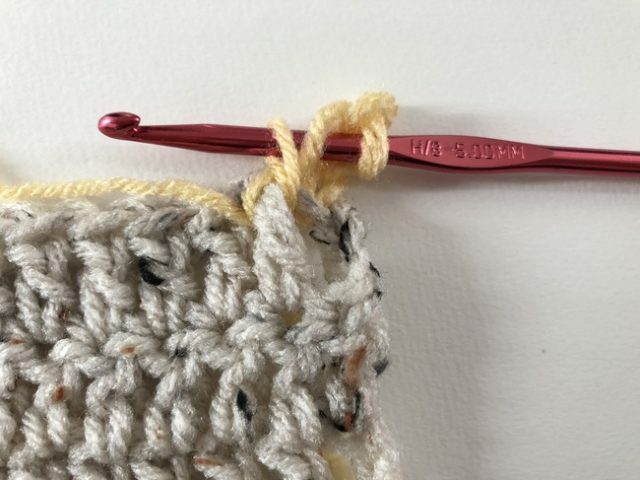 You will do this by inserting your crochet hook from right to left underneath the “post” (meaning the body of the stitch, not its loops). Notice that the post is now sitting “in front” of the hook; this is a front post stitch. Now you just continue working your double crochet as you normally would. Yarn over. Pull through. 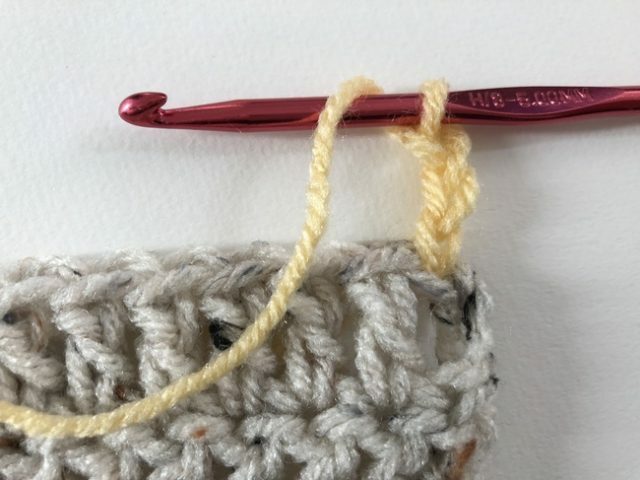 Note that since you’ve worked around the post, you may need to pull the loop up a little higher to get the regular height of a double crochet stitch; this will become more comfortable with practice. Pull through. 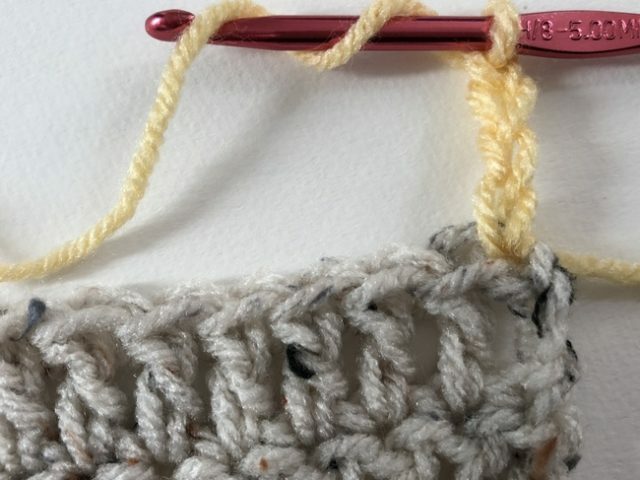 It should be starting to look like the double crochet stitch that you are used to by now. Yarn over and pull through both loops on the hook. And that’s it; you’ve made your front post double crochet. 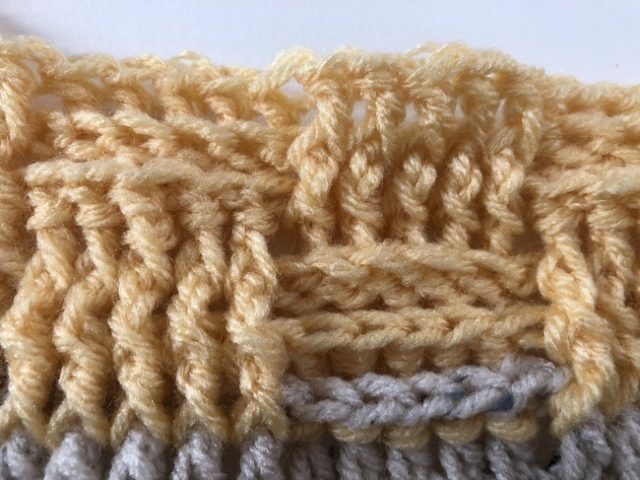 It should look like a regular double crochet stitch, but it is worked around the post. Of course, you can work a double crochet around the back post instead of the front post. 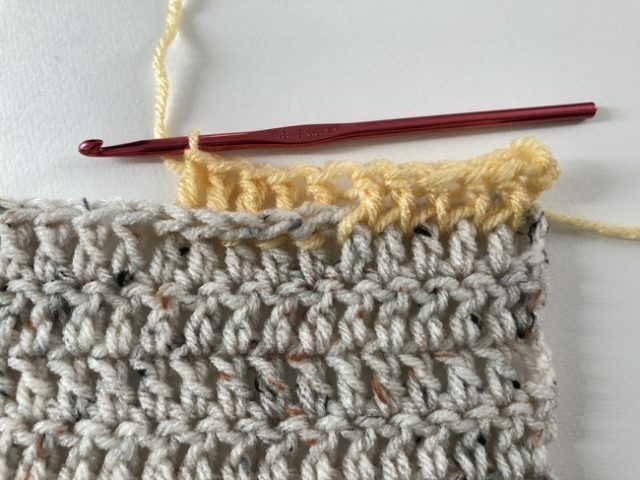 You will begin in the same way, with the yarn over in preparation to make a double crochet stitch. 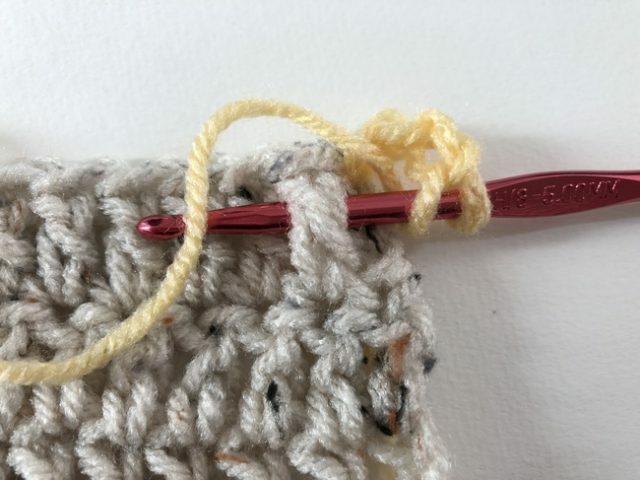 You will again insert your hook from right to left, but do so above the post, so that the crochet hook is sitting on top of the post itself. The post is in “back” of the hook, making it a “back post” stitch. Proceed as normal with your double crochet stitch to complete it. 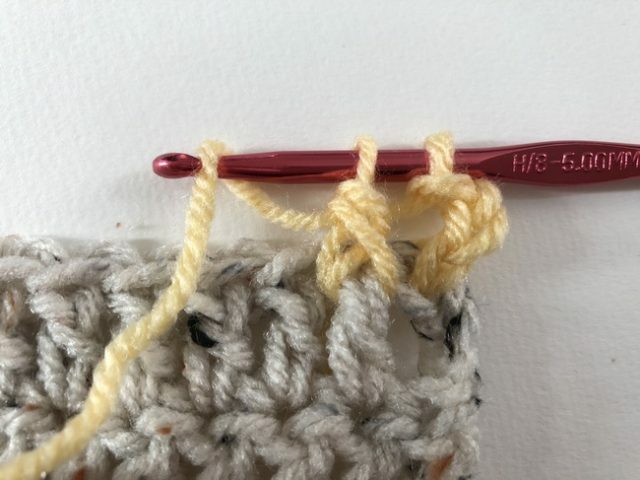 You can see in the above photo that the stitch on the right is a regular double crochet worked in the loops, and the one next to it is a bpdc, worked around the post. You can see here how the back post stitch actually sits in the back of the fabric. The photo above gives you an even better idea of the difference between front post and back post crochet. The stitches on the right are front post stitches, and appear almost like normal dc stitches or as if they sit a little bit in front of the fabric; the pots on the left are back post double crochet and look like they are sitting behind the rest of the fabric. 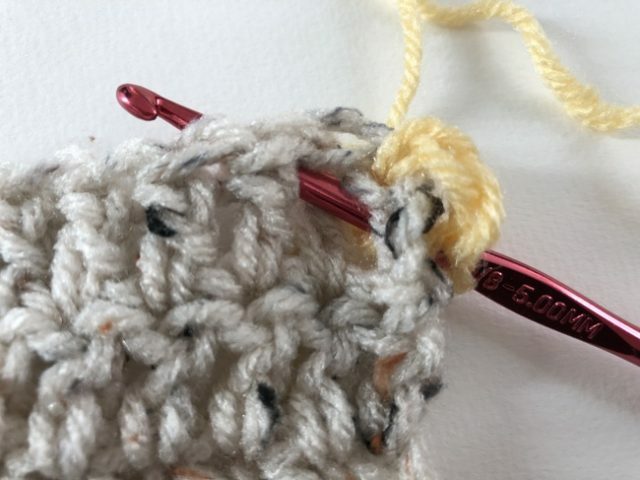 Double crochet is one of the most common stitches used for post stitches, but you can work post stitches in other basic stitches as well. 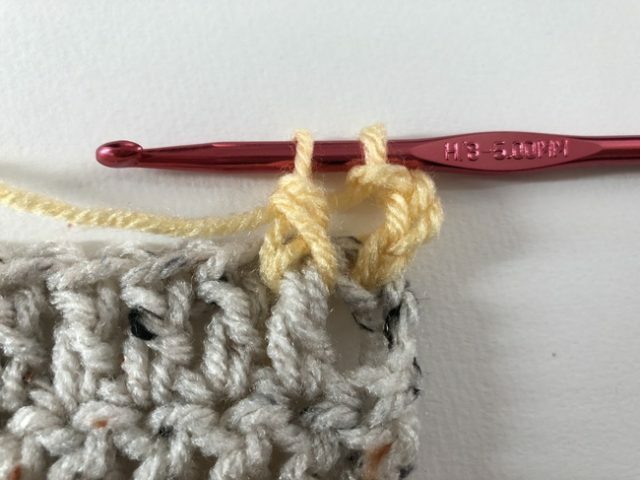 Notably, it is easier to work post stitches with taller stitches (double and treble) than with shorter stitches (single and half double) but advanced crocheters can work the shorter stitches around posts as well. 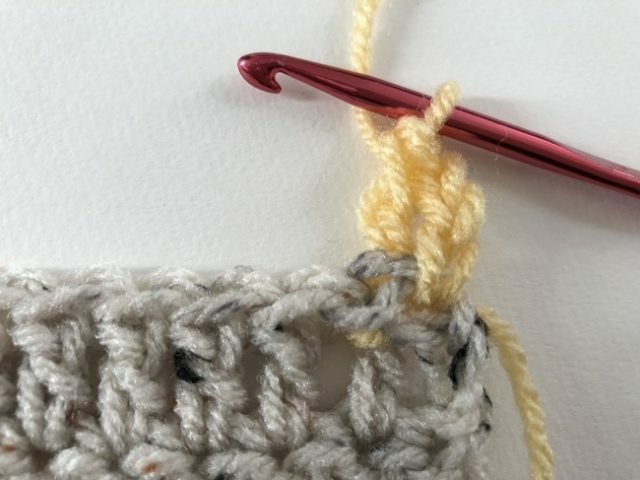 Let’s take a look at how to work post stitches in treble crochet. 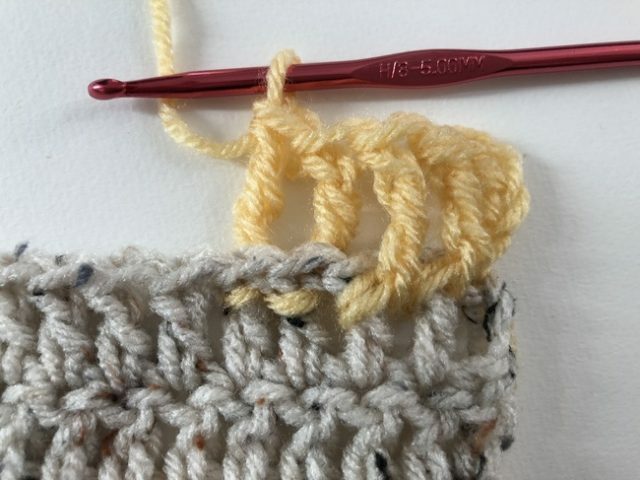 When you are ready to begin your post stitch, you will yarn over twice, as you would with any treble crochet. Then you will insert the hook right to left. 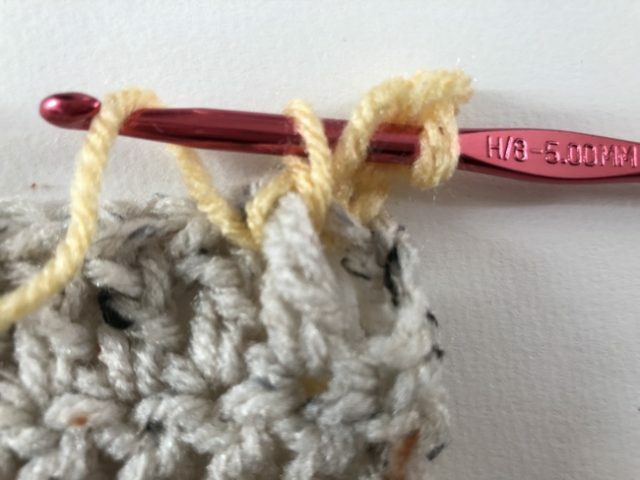 The post will either be in front of the hook (as seen above) for front post treble crochet (abbreviated FPTr) or behind the hook for back post treble crochet (BPTr). Then you will proceed with the rest of the stitch as you would a standard treble crochet. Above you can see a regular double crochet on the right, worked into the loops, then two front post treble crochet stitches followed by two back post treble crochet stitches. Here you can see, from right to left 2 each of front post single crochet (fpsc), back post single crochet (bpsc), front post hdc, back post hdc, fpdc, bpdc, front post treble crochet and back post treble crochet.